In 2004 Gehl returned to make a new Public Space/Public Life survey, which showed the impressive improvements of the quality of live in Melbourne. The city had more students and residents, more people-friendly streets, squares, lanes and parks, wider sidewalks, well-designed street furniture, side streets and public art programmes. Also the number of outdoor cafés increased from less than 50 to over 600. People were invited to walk and spend time here. Plus sustainability has been prioritized, with city greening projects, better public transport and a network of bike lanes. Furthermore the City of Melbourne has been a first mover in shifting the focus of city planning from cars to people. 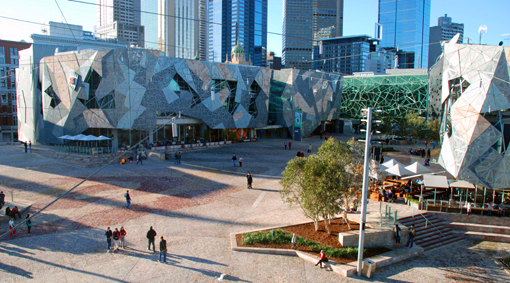 In 2005 Gehl and the City of Melbourne shared the honour of receiving the Australian Urban Design Award for their contribution to improving the quality of city life in Australia. The next challenge for Melbourne is to expand the positive transformation from the city also into suburbia. Because the city centre of Melbourne is celebrated for its innovative city design, but the city as a whole is suffering from urban sprawl.